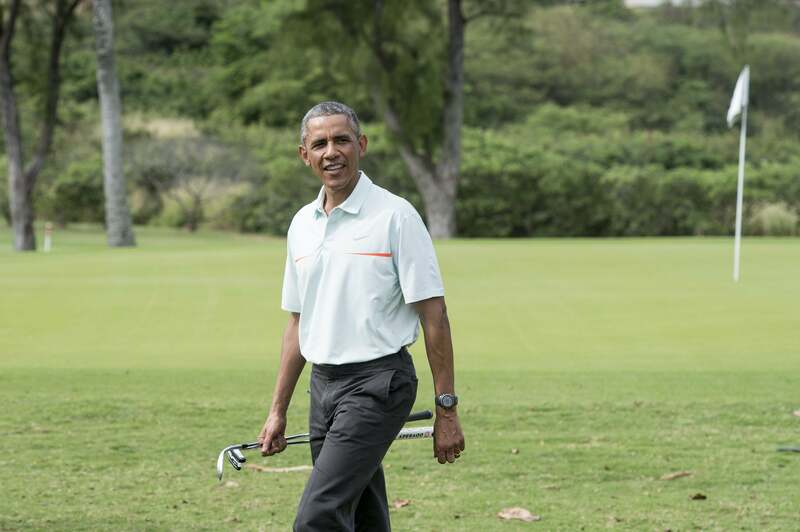 President Barack Obama (shown here playing golf on May 6) teed it up with ESPN commentators Michael Wilbon and Tony Kornheiser on Saturday. WASHINGTON (AP) - President Barack Obama's birthday gift to ESPN commentator Tony Kornheiser is a game of golf. With the president. The White House said Obama teed off Saturday with Kornheiser and Michael Wilbon, co-hosts of the sports network's ``Pardon the Interruption'' talk show. Saturday was Kornheiser's 65th birthday. Obama spent more than four hours at the golf course at the Army's Fort Belvoir in Virginia, south of Washington. The president is an avid sports fan and viewer of ESPN programming. The White House did not identify the fourth member of the presidential golf party.